Generally, I’m not one to take weight loss pills and actually I won’t. Which is why I was very comfortable testing BikiniBOD The Ultimate Beauty Body Formula. 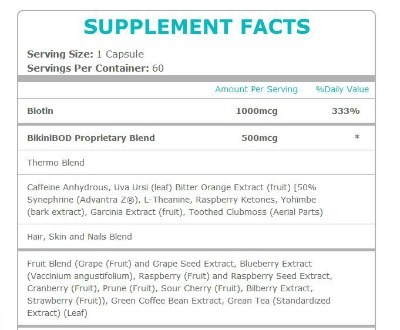 First, this is an all-natural formula dietary supplement -- check out the picture below for the list of ingredients and second, I felt complete support from the brand starting with receipt of the product. I opened my package of BikiniBOD The Ultimate Beauty Body Formula and enclosed were simple, direct instructions how to take the supplements. In conjunction with that, the card listed the customer service contact information and BikiniBOD 28-Day Blueprint to keep you on track with your goals. 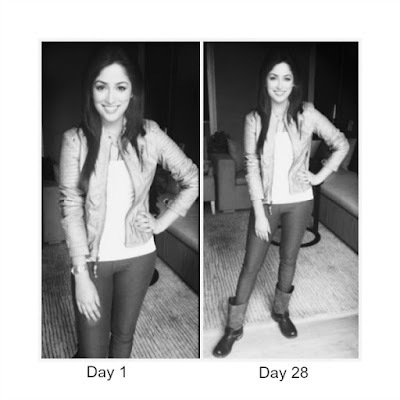 Day one, I took the recommended amount of one-half capsule and built up to the recommend two capsules per day. At no time did I feel “shaky”. Quite the opposite in fact. One day three, I had an overall feeling of well-being. I had more energy and was motivated to make sure that I got a workout in. It’s now day 28 and I’ve lost the inches that I’d wanted, gained some muscle, my skin looks amazing and I just feel better … period. 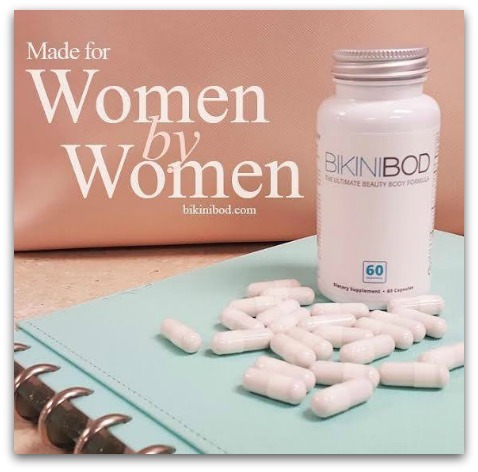 I’m happy that I had the opportunity to review BikiniBOD The Ultimate Beauty Body Formula and although I don’t want or need to shed any more weight, I’m ordering more because I know that thanksgiving and Christmas will be a challenge. Curbs Cravings - Bitter orange extract suppresses your appetite by moderating the circulation of hunger hormones, leading to less snacking and lighter meals. Burns More Fat and Calories - Yohimbe, raspberry ketones and caffeine work in unison to boost your daily metabolic rate, leading to higher calorie and stubborn fat burn, whether or not you exercise. Blocks New Fat - Green coffee bean halts fat breakdown and absorption in the small intestine, while garcinia cambogia prevents carbohydrates from converting to fats. BikiniBOD The Ultimate Beauty Body Formula (60-Count $54.99 on sale for $49.99) and comes with a 30-Day Money Back Guarantee. There are a few other items offered by BikiniBOD like their Lifestyle and Ultimate Packages, all with our personal goals in mind! You can get your own BikiniBOD The Ultimate Beauty Body Formula online at BikiniBOD!